It won't come as a surprise to you that your entrance foyer is critical in terms of making a brilliant first impression on guests, but are you really making the most of space? Ask any interior designer and they'll tell you that you shouldn't be shying away from bold styles in your transitional areas, in fact, you should be going all out with them! 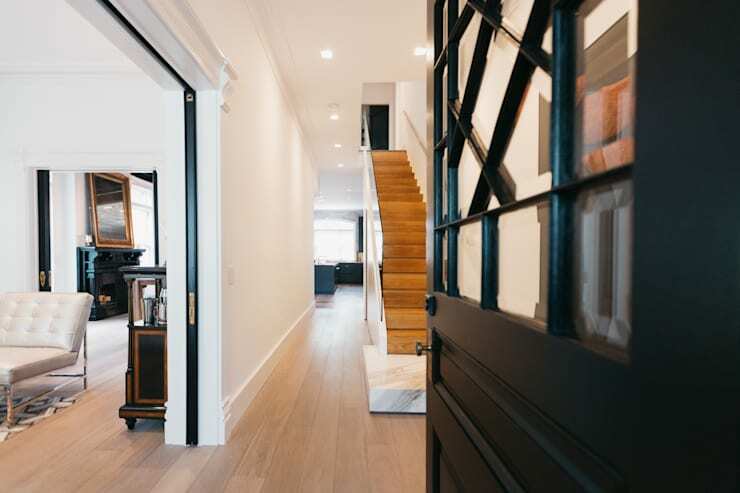 Don't just sit there and wonder what we mean though, as we've found a slew of utterly fantastic hallways that we know are going to give you the final push you need to make your very own foyer that bit more fabulous. Let's take a look! 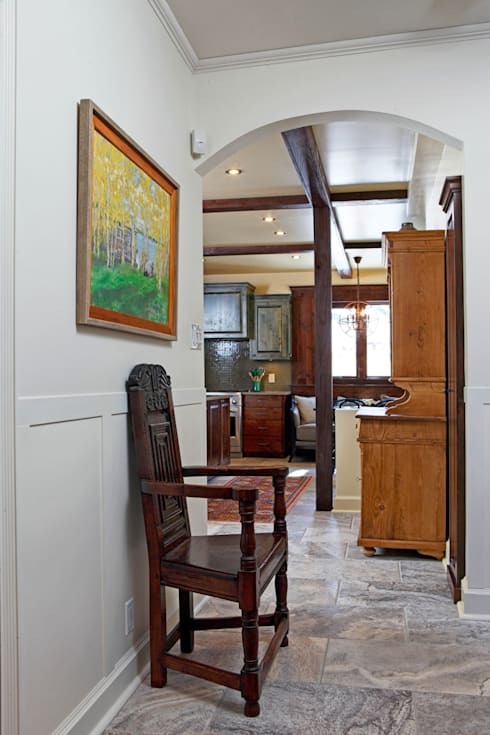 What we love about this foyer is the use of gorgeous natural materials. 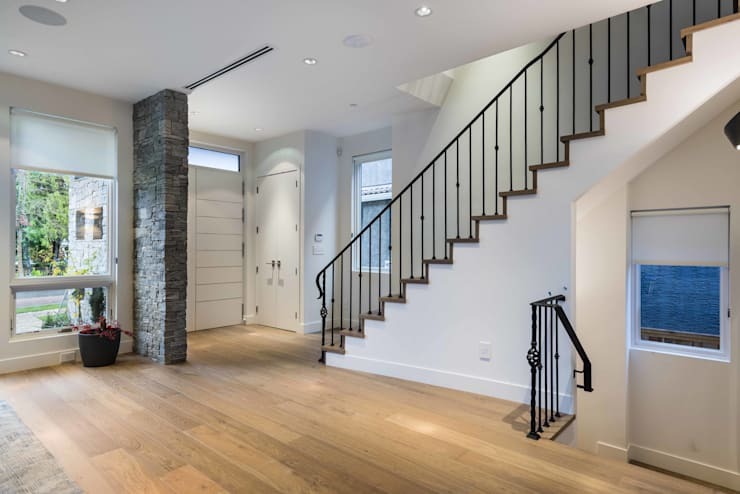 Pure white walls, a marble step, natural wood steps and pretty flooring all come together to offer timeless chic that is impossible to ignore. The mix of polished floor tiles, a sturdy and stoic front door and feature cornicing all looks amazing in this grand and sleek foyer! Can we take a minute to love that light fixture too? By not having the foyer blocked off from the wider space, there is a cracking amount of natural light flowing around. The small accent wall, covered in rustic stone, looks beautiful and offers just enough division as well as a contrast with the wider white walls! 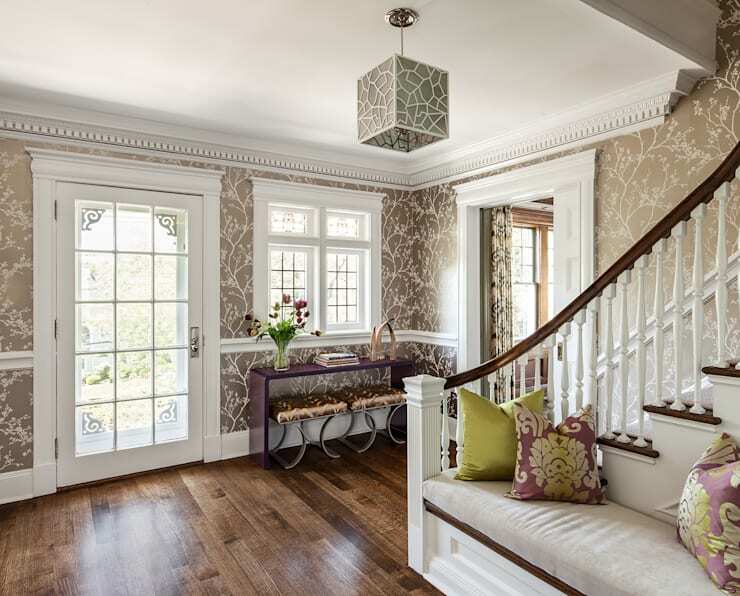 What we love here is the brilliant use of antique furniture to create a really welcoming ambience, not to mention a visually stimulating entrance. It gives such an insight as to what the rest of the house will look like! The length of this foyer is absolutely the star of the show here and by choosing materials and decor that highlights it, the look is incredible! It's the gloss floor and staggering art that really excites us, but the lighting is on point too! Can we take a moment to really appreciate all the structural and architectural elements on display here? The staircase and cut-out screen both add such a striking aesthetic and is that a huge marble feature wall? WOW! 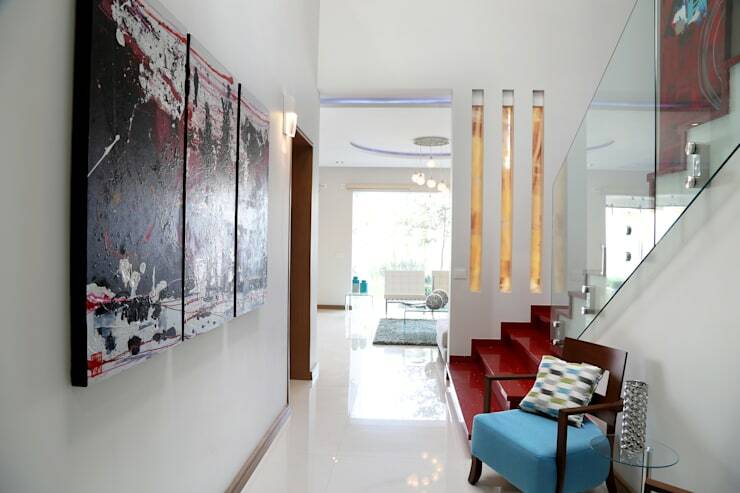 White walls, sculpted ceilings, natural wood and some piquant bright artwork look outrageously good together here. There's a tangibly retro feel at play here as well, which offers such a homey and fresh look! 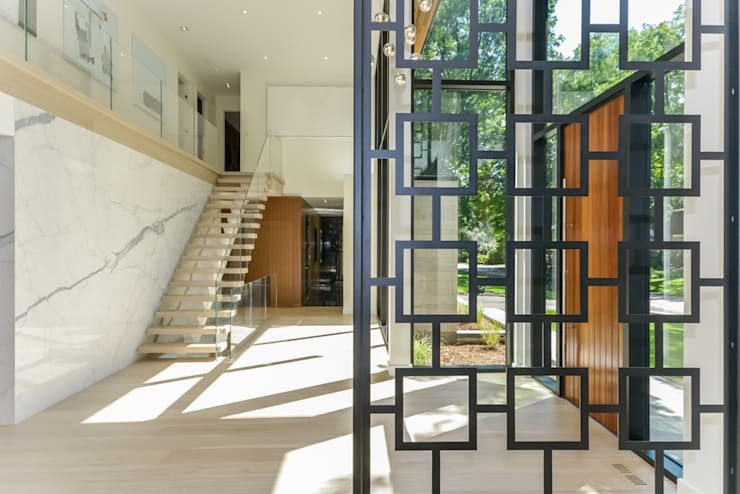 It's no secret that natural wood lends itself to the creation of a warm and inviting foyer, but wow, this space really is living proof of that! The light strips in the door are such a wonderful way to draw in some sunlight and keep the space feeling less claustrophobic. 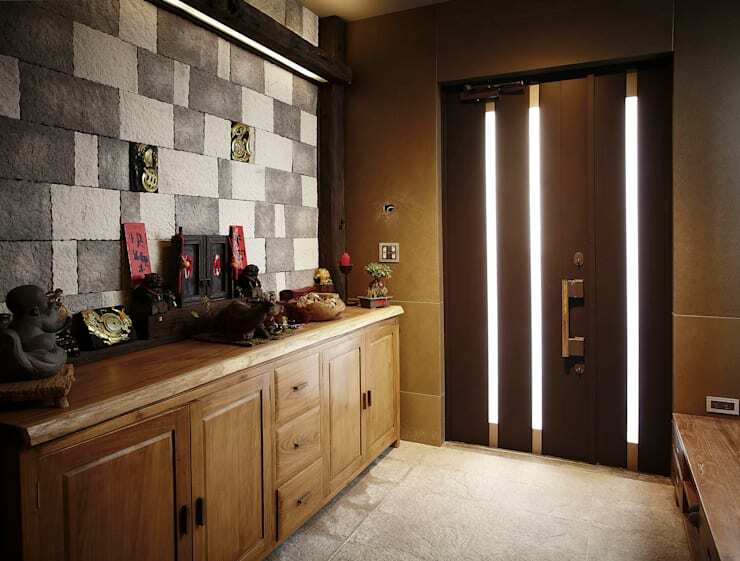 Lots of people seem to choose plain finishes for their foyers, but if this example is anything to go by, you can branch out into some patterns too! Don't you think there is a seriously luxe and opulent vibe here? That's got to be worth emulating! 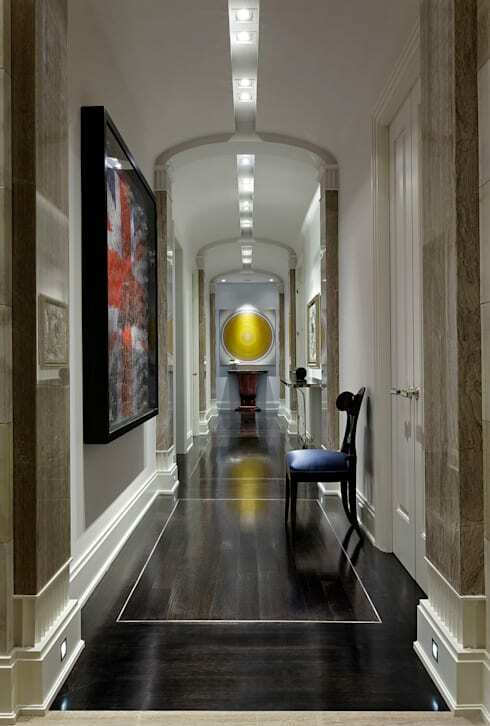 If you hate playing by other people's rules, you simply have to consider an eclectic foyer! Add in as much art as your like and play with colors to see what you like. You can't deny that this space is anything other than cool! The myriad of soft grays here is such a modern take on a neutral color scheme. 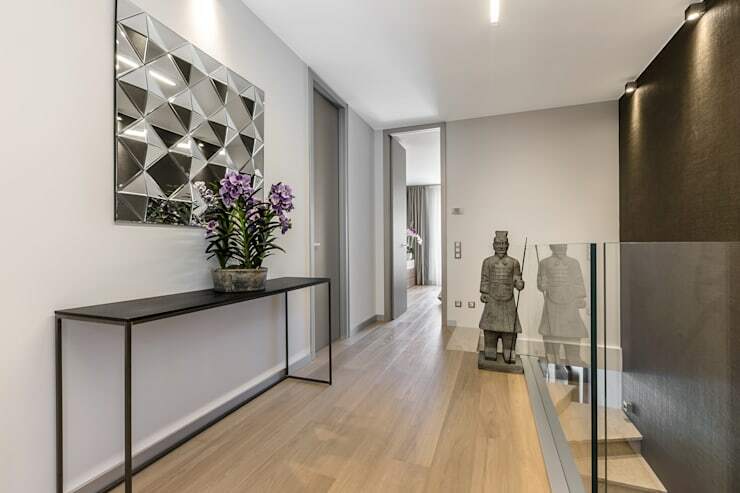 We love the inclusion of some reflective surfaces as well, as they create a contemporary, almost industrial vibe, which is softened by a plant and a statue! 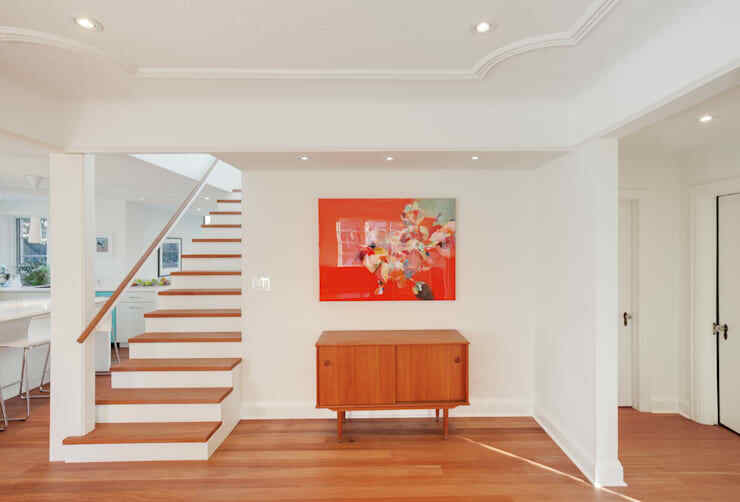 For more foyer inspiration, take a look at this Ideabook: 5 Home Hallway Renos To Impress Your Guests. Did you pick up a great idea for your foyer here?